Personalized Valentine’s Day gifts from the heart! Valentine’s Day is just around the corner!! Have you found the perfect, thoughtful gift for your loved one? A personalized gift from the heart can mean more than the newest, most expensive gadget on the market! 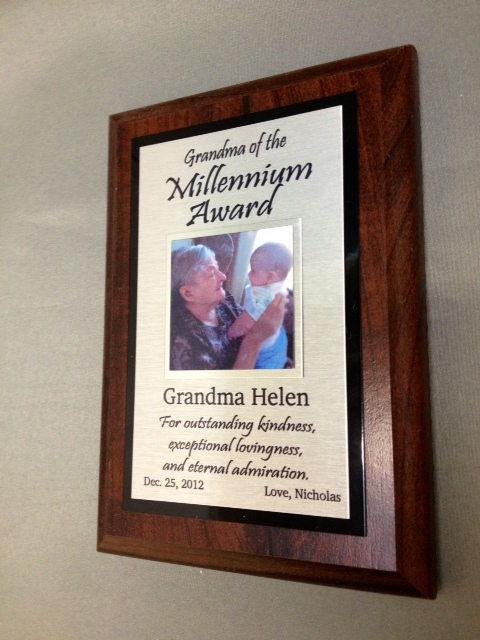 One great gift idea, a fun personalized award for your loved one or friend! It can be sweet and sincere or sarcastic and funny! Here at Tag UR It! inc., we can custom make anyrecognition award you can imagine! Our 4″x6″ sublimated plaque is only $14.50!! Include photos, quotes, and any other info you would like! This makes such a sweet loving valentine for for a grandparent or family member! Another great gift idea is a custom engraving! An engraved plate added to your gift will send a message from the heart. Recently, we engraved a plate that was placed on a beautiful wooden box. Within the wooden box was a beautiful ring that was given as an anniversary gift (Jewelry is always a winner for Valentine’s Day! The box reflected the beauty of the ring and the personal message on that box spoke from the heart of the giver. Not only did the plate include a heartfelt message, it also included a hand written signature engraved into the plate. Having your own handwriting engraved onto a gift is a personalization that means so much! Custom engraved plate on ring box with personal message and engraved handwritten signature. 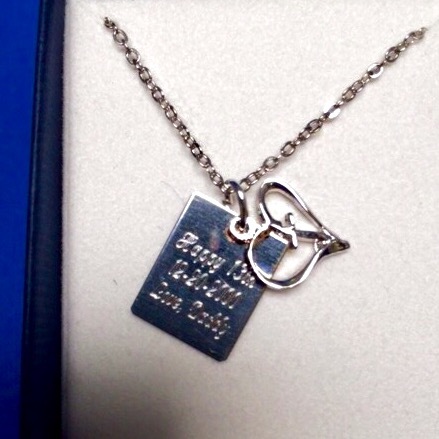 Another personal gift we have done, a stainless steel charm with a custom engraved message! Such a simple touch added to a sweet necklace, with a message that completely transforms the gift into a keepsake! Does your gifts speak from the heart? A personalized touch included in your Valentine’s Day gifts will truly show your loved ones how much you care! Visit our website or give us a call to find out more about what we have to offer!